With this exclusive Steiff x Rimowa Cabin Trolley in tow, you’ll never have to travel alone again. 1. Both brands have histories that trace back to the late 1800s in Germany. 2. Both brands are named after their founders – Steiff, after Margarete Steiff; and Rimowa, after Richard Morszeck Warenzeichen (well, technically he was the founder’s son, but you get our drift). 3. 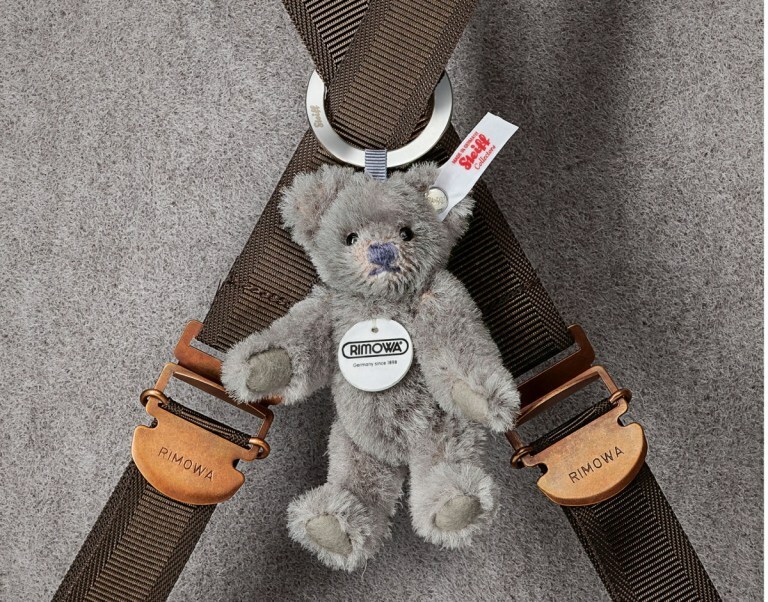 Both believed in creating a product for a market where only the best would be good enough: Steiff teddy bears were traditionally crafted from only the finest, premium mohair; while Rimowa suitcases boast top-notch aluminium and high-tech polycarbonate material. As frontrunners of their own respective industries, it was only a matter of time before a collaboration took place. 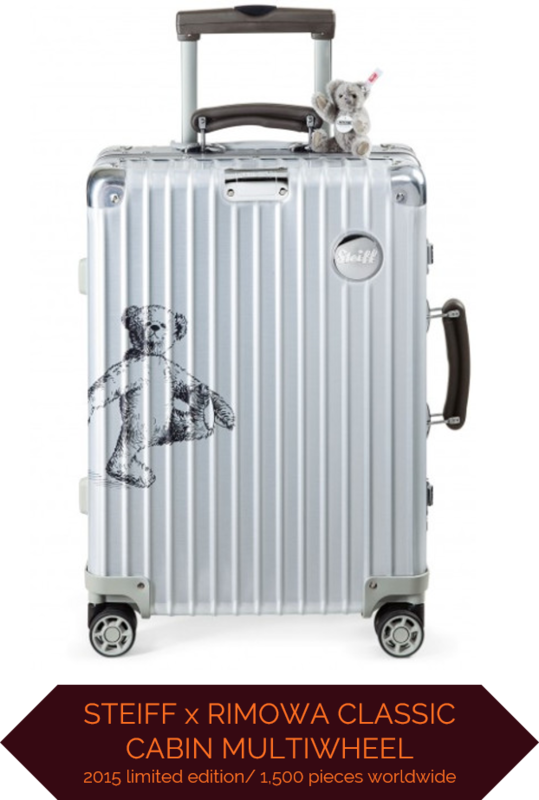 In late 2015, both Steiff and Rimowa jointly released a premium collection of limited edition suitcases, made specially for globetrotters of the modern world. Designed with Rimowa’s characteristic groove structure, the suitcase’s shell sports a vintage illustration of a cheery walking Steiff teddy bear, and even has Steiff’s trademark ‘button-in-ear’ cheekily embedded at the top right hand corner of the luggage. Things get even fluffier inside: the entire interior of this extravagantly classy suitcase is lined with luxurious grey alpaca, the very same fabric that the miniature Rimowa-Steiff teddy bear is crafted from. With only 1050 pieces available worldwide (shared between both Steiff and Rimowa retailers), The Better Toy Store is proud to present this as one of our most treasured Steiff selections to date. This exquisite creation is only available for viewing upon request though; so do drop by our stores to find out more!